The canals of the United Kingdom are a major part of the network of inland waterways in the United Kingdom. 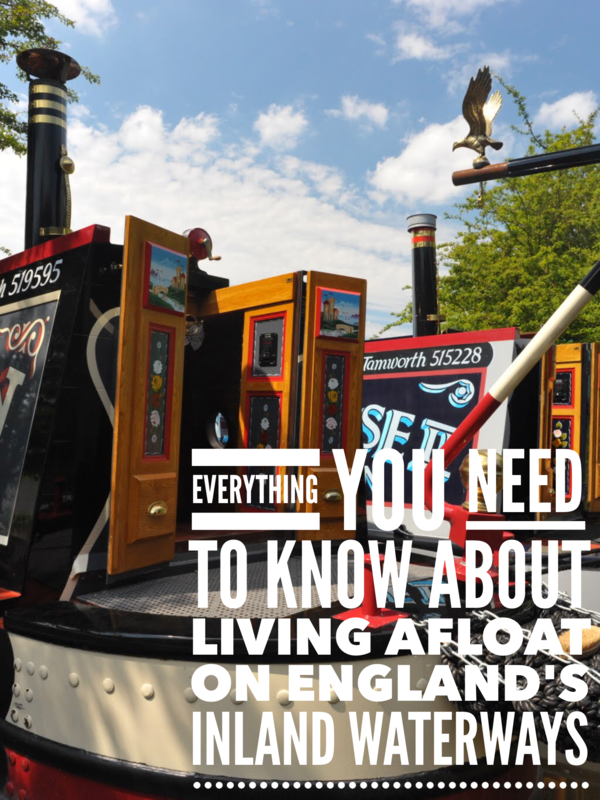 They have a colourful history, from use for irrigation and transport, through becoming the focus of the Industrial Revolution, to today’s role for recreational boating. Despite a period of abandonment, today the canal system in the United Kingdom is again in increasing use, with abandoned and derelict canals being reopened, and the construction of some new routes. Canals first saw use during the Roman occupation of the south of Great Britain, and were used mainly for irrigation. However, the Romans did create several navigable canals, such as Foss Dyke, to link rivers, enabling increased transportation inland by water. The United Kingdom’s navigable water network grew massively as the demand for industrial transport increased. The canals were key to the pace of the Industrial Revolution: roads at the time were unsuitable for large volumes of traffic. A system of very large pack horse trains had developed, but few roads were suitable for wheeled vehicles able to transport large amounts of materials (especially fragile manufactured goods such as pottery) quickly. Canal boats were very much quicker, could carry large volumes, and were much safer for fragile items. Following the success of the Bridgewater Canal (the first modern artificial canal in Britain), other canals were constructed between industrial centres, cities and ports, and were soon transporting raw materials (esp coal and lumber) and manufactured goods. There were immediate benefits to households, as well as to commerce: in Manchester, the cost of coal fell by 75% when the Bridgewater Canal arrived. As the Industrial Revolution took hold in the end of the 18th and beginning of the 19th century, the technology allowed canals to be improved. The early canals contoured round hills and valleys, later ones went straighter. Locks took canals up and down hills, and they strode across valleys on taller and longer aqueducts and through hills in longer and deeper tunnels. However, from the mid 19th century, railways began to replace canals, especially those built with the standard narrow (7 ft) bridges and locks. As trains, and later road vehicles, became more advanced, they became cheaper than the narrow canal system, being faster, and able to carry much larger cargoes. The canal network declined, and many canals were bought by railway companies – in some cases to enable them to penetrate rival companies’ areas transhipping to/from canal boats. Some narrow canals became unusable, filled with weeds, silt and rubbish, or converted to railways. There was a late burst of wide-waterway building (eg the Caledonian Canal, and the Manchester Ship Canal), and of invention and innovation by people such as Bartholomew of the Aire and Calder company, who conceived the trains of nineteen coal-filled “Tom Pudding” compartment boats that were pulled along the Aire and Calder Navigation from the Yorkshire coalfields, and lifted bodily to upturn their contents directly into seagoing colliers at Goole Docks (their descendants, Hargreaves’ tugs pushing three coal-pans trains to be upended into hoppers at the Aire power stations lasted as late as 2004). However, the last new canal before the end of the 20th century was the New Junction Canal in Yorkshire (now South Yorkshire) in 1905. As competition intensified, horse-drawn single narrowboats were replaced by steam and later diesel powered boats towing an unpowered butty, and many of the boatmen’s families abandoned their shore homes for a life afloat, to help with boat handling and to reduce accommodation costs – the birth of the legendary “boatman’s cabin” with bright white lace, gleaming brass and gaily-painted metalware. Constant lowering of tolls meant that the carriage of some bulky, non-perishable, and non-vital goods by water was still feasible on some inland waterways – but the death knell for commercial carrying on the narrow canals was sounded in the winter of 1962–1963, when a long hard frost kept goods icebound on the canals for three months. A few of the remaining customers turned to road and rail haulage to ensure reliability of supply and never returned, though both rail and road had been severely disrupted by the frost and snow too. Other narrow boat traffics gradually ceased with the change from coal to oil, the closure of canalside factories, and run down of British heavy industry. The last long distance narrow boat traffics, coal from the midlands to Dickinson’s paper mills at Croxley and the Kearley & Tongue Jam Factory at Southall both ceased in 1970 – the Croxley mills had changed to oil and the Jam Factory closed for re-location. Regular narrow boat traffics continued, however, lime juice from Brentford to Boxmoor (until 1981) while aggregates were carried on the River Soar until 1988. Some individual waterways (especially the Manchester Ship Canal, the Aire & Calder Navigation and the other large waterways) remain viable, carrying many millions of tonnes per year and there are still hopes for development, but “Containerisation” of ports and lorries has mostly passed the waterways by. The last major investment development of the inland waterways was the enlargement of the Sheffield and South Yorkshire Navigation in the early 1980s to cope with barges of standard European dimensions that (in the depression of the 80s) never came. The scale of the futile hopes of those days can be appreciated by the occupants of a holiday narrowboat nearly lost in a lock built for the barges that were going to sail down the Rhine, across the North Sea aboard a ship, and up to Doncaster. Today there have been a number of successful initiatives to get more traffic on to the larger inland waterways, though even the Manchester Ship Canal does not convey cargo ships to the docks in Salford, which have become little more than a ‘water feature’ for the apartments, offices and cultural institutions of ‘Salford Quays’ that have replaced the wharves and warehouses. In the latter half of the 20th century, while the use of canals for transporting goods was dying out, there was a rise in interest in their history and potential use for leisure. A large amount of credit for this is usually given to L. T. C. Rolt, whose book “Narrowboat” about a journey made in nb Cressy was published in 1944. A key development was the foundation of the Inland Waterways Association, and the establishment of fledgling weekly boat-hire companies, following the example of such companies on the Norfolk Broads, which had long been used for leisure boating. The authority responsible for the canals, British Waterways Board, encouraged this process from the late 1950s by operating a fleet of holiday hire boats, initially converted from cut down working boats. Holidaymakers began renting ‘narrowboats’ and roaming the canals, visiting towns and villages they passed. Other people bought boats to use for weekend breaks and the occasional longer trip. The concept of a canal holiday became even more familiar when the large agencies that dealt with Broads holidays began to include canal boatyards in their brochures. Canal-based holidays became popular due to their relaxing nature, self-catering levels of cost, and variety of scenery available; from inner London to the Scottish Highlands. This growth in interest came just in time to give local canal societies the ammunition they needed to combat government proposals in the 1960s to close commercially unviable canals, and to resist pressure from local authorities and newspapers to “Fill In this eyesore” or even to “Close the Killer Canal” (when someone fell in one). It was not long before enthusiastic volunteers were repairing unnavigable but officially open canals and moving on to restore officially closed ones and demonstrating their renewed viability to the authorities. Local authorities began to see how a cleaned-up and well-used waterway was bringing visitors to other towns and waterside pubs (not just boaters, but people who just like being near water and watching boats (see gongoozler). They began to clean up their own watersides, and to campaign for “their” canal to be restored. As a result of this growing revival of interest, there are now even some new routes under consideration, and one under construction (the Fens Waterways Link) for the first time in a century, linking navigable rivers and existing canals. Large projects such as the restoration of the spectacular Anderton Boat Lift, or the building of the startling Falkirk Wheel attracted development funding from the European Union and from the Millennium Fund. There are now thousands of miles of navigable canals and rivers throughout the United Kingdom. Most of them are linked into a single English and Welsh network from Bristol to London, Liverpool to Goole, and Lancaster to Ripon, and connecting the Irish Sea, the North Sea, the estuaries of the Humber, Thames, Mersey, River Severn, and River Ribble. This network is navigable in its entirety by a narrowboat (a boat 7 ft wide) no longer than about 56 feet. There are also several through-routes not connected to the main network, notably those in Scotland, e.g. Glasgow to Edinburgh via the Falkirk Wheel, and Inverness to Fort William via Loch Ness. 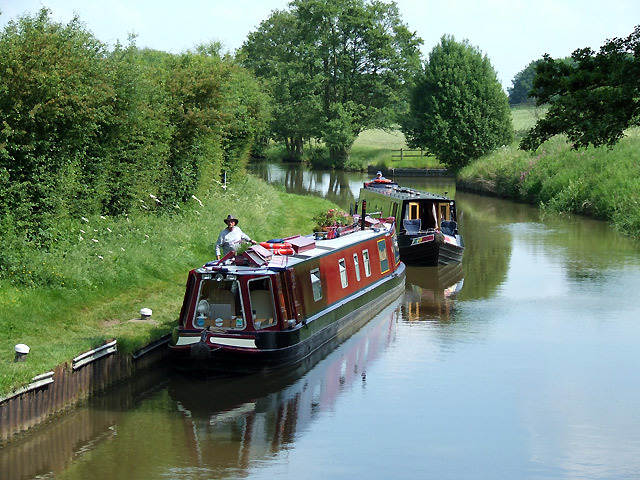 The aim of campaigning bodies such as the Inland Waterways Association is to persuade British Waterways (which owns about half of Britain’s inland waterway network) to fully reopen all disused canals. In May 2005 The Times reported that British Waterways was hoping to quadruple the amount of cargo carried on Britain’s canal network to six million tonnes by 2010 by transporting large amounts of waste to disposal facilities.